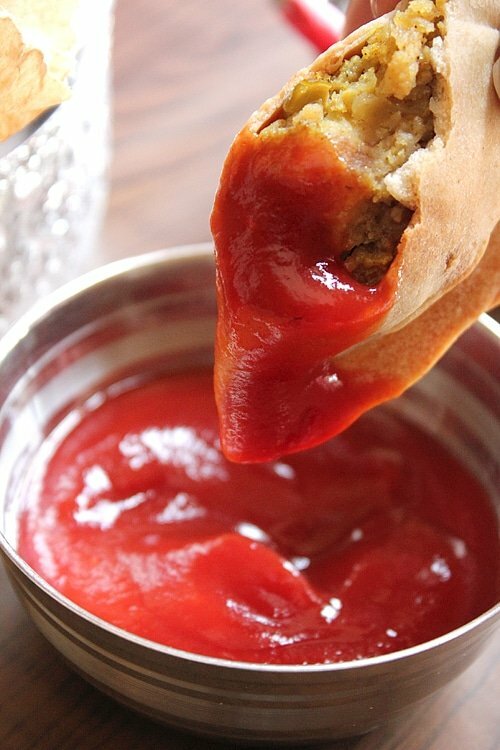 There are many versions of samosa, it can be vegetarian, none vegetarian, and it can also be sweet. Yes! 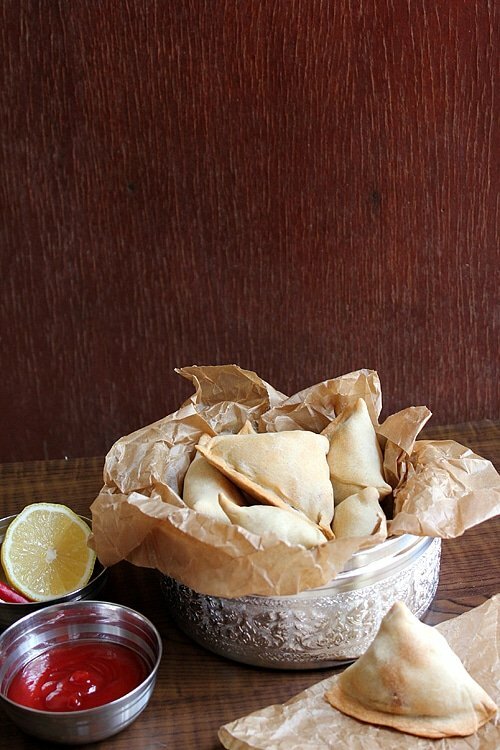 Sweet samosas do exist and they’re usually stuffed with dried fruit, shredded coconut, and some sweet spices like cardamom, but I’ll leave that for another post. 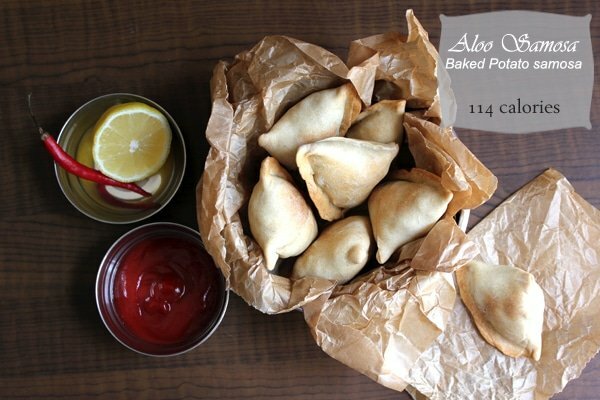 These baked samosas are delicious but of course tastes a little different from the fried ones, that doesn’t mean you won’t enjoy the flavor. If you’re eating healthy and looking after your weight, you have to understand that potatoes are not your enemy. This information and more can be found at Potato Goodness, I hope you change your mind about this healthy vegetable. 300 gm boiled potato mash with a fork, this way you'll have some chunks of potato which is the idea. - In a bowl, add the flour, salt, and oil. Mix well. 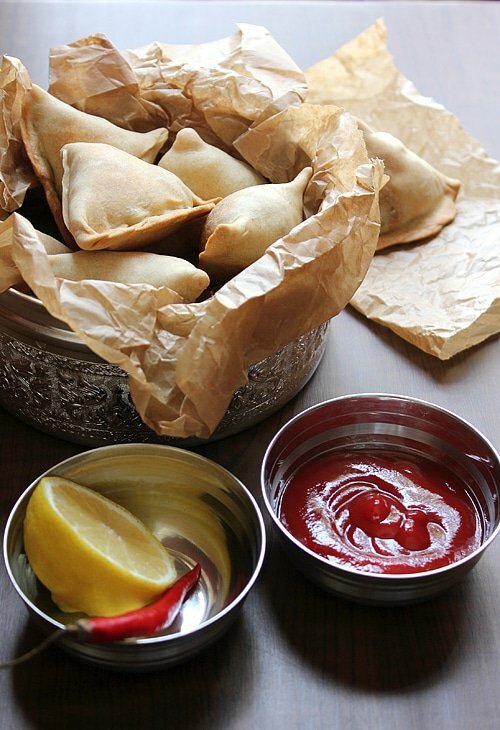 - Samosa's dough shouldn't be very soft, so slowly add enough water to make a pliable dough. - Divide the dough to 4 balls. Cover and keep aside for 10 minutes. 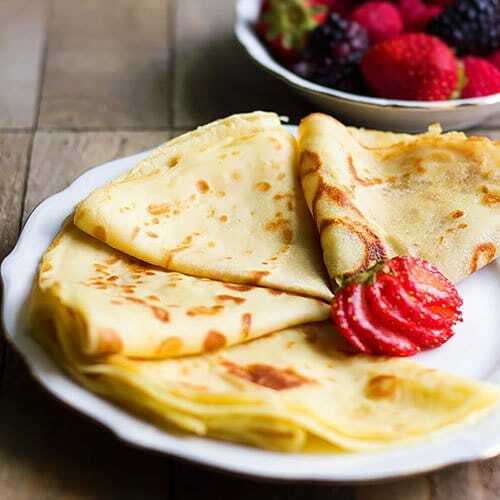 - Heat a frying pan and add 2 teaspoons oil. Add the onion and fry until translucent. - Add the potato and stir, add the ginger, garlic, chili, green peas, and carrot. Stir well. - Add the spices and sauté for a few seconds. - Take one ball and roll with the rolling pin into a medium thickness circle. (This dough won't need dry flour to roll). - Use a knife to cut the circle into halves. - Take one-half and fold into a cone. Seal along the fold. - Place this cone between your thumb and index finger. Fill the cone with the filling, might take two tablespoons or little less. - Wet along the edges of the dough with water and pinch to seal. - Brush the samosas with oil and bake in preheated oven, 350F/180C for 20 minutes. (Depending on your oven, the samosa might take longer or lesser time). I LOVE samosa! My friend makes really delicious samosa and I’m lucky to be able to eat it sometimes. Baked version is a lot healthier. As always I love your video! These samosa are perfectly healthy and tasty, Muna. 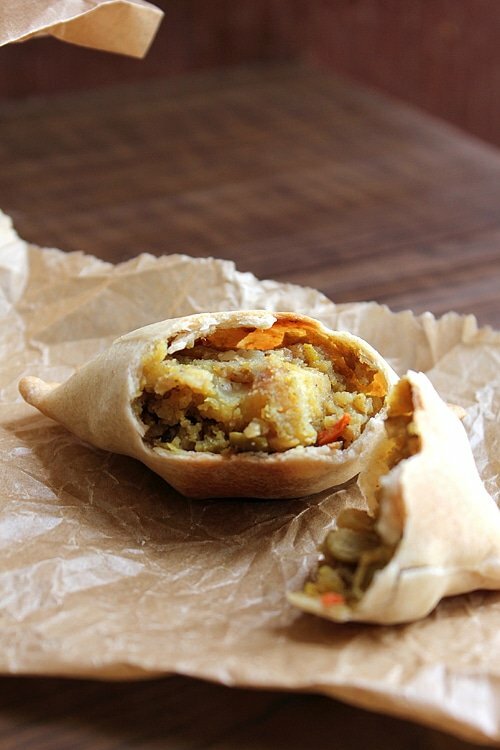 Like your bake version of samosa, healthy and sound good! These sound wonderful and you’re right about potatoes, they’ve gotten a really bad rap haven’t they! I love samosas! I like that you went with a healthy version, you don’t often see that. I’d be interested in reading about sweet samosas too, because I’m not familiar with them. Oh…my favourite Indian dish…Low calorie – yay! 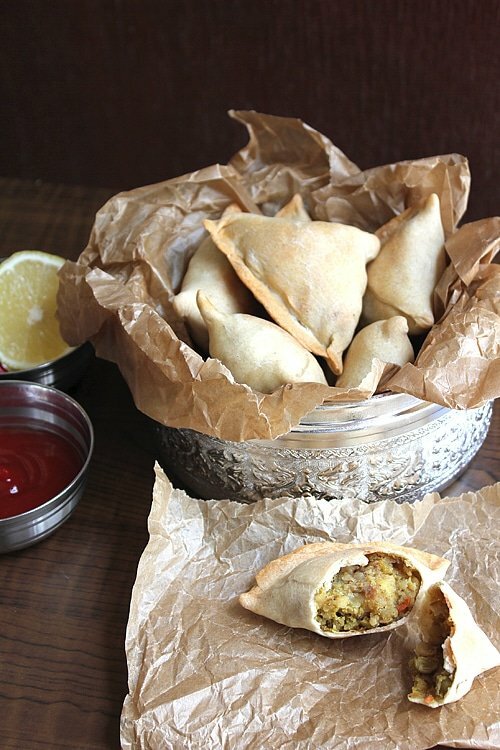 OMGoodness how do I love samosas and always meant to bake them, but never did. It looks incredible and I could snack on it all day long! Hi Rebecca, Yes it was Ketchup. I have tried your samosa recipe, I love it..thank you so much for sharing this healthy baked version. I will make this samosa again next time. I have posted the recipe on my blog which is using Indonesian language, who knows you will come visit someday. I have mention the source of the recipe and link back to Munaty Cooking. I really love your blog, I have bookmarked your other recipes, hopefully I will try next recipe in the short time. Thanks again Muna, it is really pleasure to know you.